Once a medication is marketed, there are a number of resources that can provide observational data regarding drug safety in pregnancy. 1. Clinician case reports published in the medical literature can delineate a phenotype in an affected infant born to a mother with a specific prenatal medication exposure. However, these reports must be initiated spontaneously, and therefore may involve investigator as well as publication bias. Furthermore, without a known denominator of exposed pregnancies that do not result in infants with the specific malformation, it is difficult to determine if the reported defects represent an increase over baseline. If the phenotype is sufficiently unique, e.g. the isotretinoin embryopathy (Lammer et al., 1985), then a series of case reports can strongly suggest a hypothesis that can be confirmed using other methods. 2. Centralized adverse event reporting systems can provide a systematic method for accumulation of case reports from a variety of resources. For example, under the US FDA's Adverse Event Reporting System (AERS), manufacturers, and distributors of FDA approved pharmaceuticals are mandated to report events such as congenital anomalies as they are reported to them, or are published in the scientific literature and have been associated with their drugs. The FDA receives additional reports through the MedWatch program, an educational and promotional effort which facilitates spontaneous reporting from healthcare providers (Kessler, 1993; Goldman and Kennedy, 1998). And finally, consumers may provide information to the manufacturer or directly to the FDA. The advantages of such a system are that reports can be accumulated from a variety of resources in a timely fashion and can be reviewed and investigated further with respect to any potential concerns. For example, the angiotensin II converting enzyme inhibitor (ACE inhibitor) fetopathy, which includes a unique pattern of renal tubular dysplasia and hypocalvaria occurring in association with second or third trimester use of one of the drugs in the ACE inhibitor group, was first reported by a clinician (Pryde et al., 1993). However, the frequency of similar or related abnormalities in relation to gestational timing and dose of the drug was identifiable through review of a series of 110 ACE inhibitor adverse event reports submitted to the FDA through 1999 (Tabacova et al., 2000). The primary limitations of such systems are similar to those of case reports appearing in the medical literature, i.e. that reports must be initiated spontaneously, and this may involve bias, and that there is no known denominator of exposed, unaffected pregnancies that could be used to develop a birth prevalence rate for purposes of comparison. In addition this system relies on the ''prepared mind'' to make a link between medication exposure and pregnancy outcome, a link more likely for outcomes normally rare and extremely severe, and less likely for outcomes considered common or with subtle presentation. 3. Drug registries have been one method of evaluating drug safety in pregnancy dating back to the Swedish lithium registry established in 1962 (Schou et al., 1973). Similar manufacturer-sponsored registries have been successfully completed for fluoxetine (Goldstein et al., 1997) and acyclovir (Andrews et al., 1992; Preboth, 2000) while several others are presently ongoing (White and Andrews, 1999). All involve spontaneous reporting of exposed pregnancies. The collection of outcome data is usually accomplished through the healthcare provider who initiates contact with the registry, but in some registry designs outcome data are collected from the pregnant woman herself. Although pregnancy outcome reports can be collected retrospectively, most current drug registries identify exposed women prospectively, i.e. during gestation, and collect exposure and other information prior to the known outcome of that pregnancy. In these cases, the registry may be considered a targeted follow-up study. The registry approach has a number of advantages including timely and centralized ascertainment of exposed pregnancies which can parallel prescribing practices for newly-marketed medications. Particularly if the exposure is rare, this may be the most efficient method for collecting pregnancy outcome data. In addition, the registry approach provides a defined denominator of exposed women which facilitates comparisons of congenital anomaly rates with those of a reference group. These studies generally have the ability to detect a meaningful increase in the overall frequency of major birth defects that are evident at birth. Limitations of such registries typically include the following. As these studies depend on spontaneous reporting of exposed pregnancies, it is difficult to project sample sizes, and therefore there may be insufficient power to adequately evaluate increased risks for specific congenital anomalies. In addition, some current registries rely on externally derived reference rates while others use as controls other drugs monitored in the same study. Depending on the characteristics of women in the exposed group, the use of external reference statistics may not represent the most appropriate comparison. And finally, as most registries rely on a wide variety of individual healthcare providers to report outcome, there is potential misclassification bias with respect to the accurate diagnosis of some congenital anomalies. 4. Birth defects monitoring or surveillance systems are designed to provide population- or hospital-based identification of congenital anomalies in order to measure trends and to respond to unusual clusters of events. At this level of information gathering, if an upward trend in the birth prevalence of a certain defect or a time-related cluster of an unusual pattern of defects coincides with widespread use of a new medication, then surveillance programs can function as an early warning system (Khoury et al., 1993). Because an unusual pattern of congenital anomalies may occur with extreme rarity within any one surveillance system, these efforts are enhanced by collaborations such as the International Clearinghouse of Birth Defects Monitoring Systems (ICBDMS) which has been in existence since 1974 (Erickson, 1991; Khoury et al., 1994a). 5. Birth defects case-control studies can be classified into one of two general approaches. The first group might be termed classical hypothesis-testing case-control designs while the second involves on-going case-control surveillance for drug-induced congenital malformations. Using the first design, cases and controls are identified with the specific intent to measure the association between a risk factor and a specified birth defect or group of defects. This approach requires that a priori decisions be made regarding the research questions, selection of the appropriate control group, and adequate power and sample size. For example, based on concerns raised in the literature, this design was successfully used to document an association between congenital facial nerve paralysis, or Moebius' Syndrome, and firsttrimester use of misoprostol (Pastuszak et al., 1998). Collaborative Study of Congenital Malformations (ECLAMC) which involves over 70 hospitals in several South American countries (Castilla and Peters, 1992), and the population-based Hungarian Congenital Malformation Registry (Czeizel et al., 2000). These programs usually involve ascertainment of malformed cases as well as systematic sample selection of non-malformed infants who can be used as controls. Exposure and other risk factor information is generally gathered by postnatal maternal interview and review of medical records. However, rather than being hypothesis-driven from the outset, case-control surveillance is designed to collect information on a wide variety of congenital anomalies as well as a broad spectrum of exposures, facilitating multiple hypothesis testing at any future date. In addition, some designs have incorporated DNA sampling and banking from case and control children and their parents so that future hypotheses regarding genetic susceptibility can be tested. The primary of advantage of any case-control approach in studies of rare events such as congenital anomalies is the enhanced power to detect an association for a given sample size. 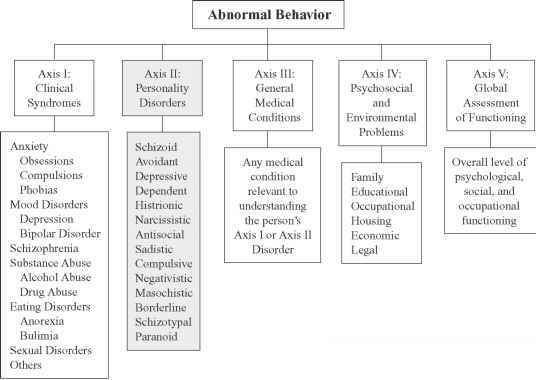 Additional advantages of case-control surveillance include, to a varying degree, relatively complete ascertainment of the congenital anomalies of interest within a defined population, concurrent selection of controls from the same population, and the ability to validate the classification of diagnoses. In addition, this approach provides flexibility in the ultimate use of the data, i.e. based on the needs of a given analysis, subsets of cases and controls can be selected from the entire data set to test or confirm specific hypotheses. For example, this method was useful in confirming the protective effect of antenatal folic acid supplementation in reducing the incidence of neural tube defects (Werler et al., 1993). Furthermore, case-control surveillance data are amenable to hypothesis generation. For example, these data were used to first raise the question of an association between pseudoephedrine and gastro-schisis (Werler et al., 1992). The limitations of case-control studies of any type generally relate to the use of retrospective data collection and the selection of controls. For example, maternal interviews may be conducted in some cases many months after completion of the pregnancy, which raises the possibility, although controversial, of limited recall of early pregnancy medication use (Tomeo et al., 1999). In addition, the potential for serious differential recall bias among mothers of malformed infants relative to mothers of non-malformed controls has been cited by some (Khoury et al., 1994b), while the bias associated with the use of malformed controls has been suggested by others (Prieto and Martinez-Frias, 2000). With respect to the use of appropriate controls, case-control surveillance studies have the advantage of flexibility in selection of one or multiple control groups, malformed or not, from the larger data set as judged necessary for any specific analysis. Because case-control surveillance programs are on-going, they have the potential to recognize an association with a newly-marketed medication; however, they may have limited sensitivity in this regard. These studies may miss an association if the medication of interest is related to a relatively unusual congenital anomaly and/or that specific defect is not included in the range of selected anomalies for which maternal interviews are conducted. In addition, if new medications are infrequently used among pregnant women, then weak or moderate associations may be difficult to detect. However, given the rarity of congenital anomalies in general, these approaches provide a relatively powerful method of hypothesis testing and hypothesis generating and can be effectively used alone and in conjunction with other methods. 1975). These studies have the advantage of prospective ascertainment of exposure information as well as data regarding a variety of potential confounders. In addition, women with and without the exposure of interest are concurrently enrolled as members of the cohort, facilitating the identification of an appropriate reference group. Like on-going case-control designs, studies of this type can address multiple hypotheses that need not be formulated a priori. However, even in large cohort studies, issues of sample size can be a limitation. For example, the Collaborative Perinatal Project had inadequate power to detect weak to moderate associations with any but the most common major congenital malformations. In contrast, the Swedish Registry with approximately 120 000 annual births, accumulated over more than a 25-year span of time, has enhanced power to identify these associations. Of course, the caveat with any large cohort study is the substantial cost involved in such efforts. Network of Teratology Information Services (ENTIS) (Schaefer et al, 1996). These formal collaborations can shorten recruitment time, add to the variability and possibly the representativeness of subjects in the sample, and increase the obtainable sample size. However, these studies usually are not capable of adequately evaluating any but the most dramatic increased risks for single major malformations. The primary strength of TIS studies is the focus on a spectrum of pregnancy outcomes and, in some designs, the evaluation of exposed children for a pattern of major and minor malformations (Jones et al., 1989). This unique advantage can generate hypotheses that might not be conceived using any other method. 8. Database linkage studies, as technological advances permit, can offer many of the advantages of large cohort studies at potentially far less cost. Early efforts along these lines utilized the Michigan Medicaid database, a government health insurance program within which maternal prescription records could be linked to pediatric billing records to identify children born with and without congenital anomalies (Rosa, 1999). Similar approaches have been used successfully elsewhere in North America and Europe. For example, investigators in Denmark have linked prescription database records to hospital discharge and medical birth register records for children with and without congenital anomalies to investigate the safety of a widely used antibiotic (Larsen et al., 2000). In countries where there is universal and standardized healthcare delivery and record-keeping, or in countries where healthcare maintenance or other large membership-based providers serve a significant proportion of the population, linked prescription and birth records provide an attractive alternative method for testing hypotheses regarding drug safety in pregnancy. This approach has been used successfully to evaluate pregnancy exposure to clarithromycin using longitudinal claims data for members from 12 geographically diverse United Health Group-affiliated health plans (Drinkard et al., 2000). Similarly, information from the Group Health Cooperative of Puget Sound in the United States has been used to examine the association between topical tretinoin (Retin-A) and major birth defects (Jick et al., 1993). The General Practice Research Database in the United Kingdom is another potentially fruitful resource (Jick and Terris, 1997; Jick, 1999). The primary advantages are the availability of large numbers of subjects and ease of access to data. This approach also avoids some of the biases involved in studies that rely entirely on maternal report to classify exposure. These strengths must be weighed against the limitations inherent in a study design that does not involve subject contact. For example, these studies usually cannot ensure that the medication prescribed was actually taken by the mother, or taken during the period of time critical for development of any specific birth defect. There are also issues related to misclassification of outcome depending on the quality of records used to determine or exclude the diagnosis of a congenital anomaly. However, as a relatively efficient method for surfacing and testing hypotheses related to prescription medications, these studies hold significant promise. Moreover, in some settings the use of automated records can be supplemented with chart abstraction and/or patient interviews to optimally match methods and purpose.